The Lodge at Welch Allyn in Skaneateles has a split personality, by day it is a classy Adirondack style lodge and by night it turns into a glamourous jewel-toned retreat. 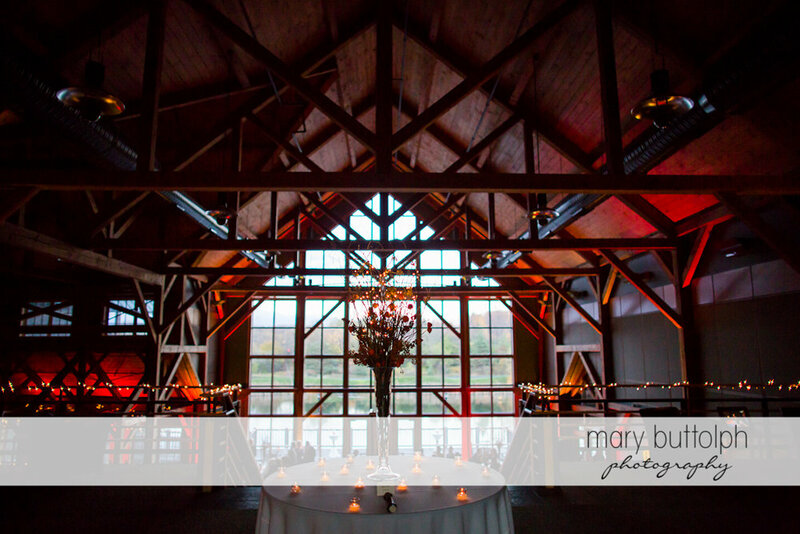 Rough hewn beams dress the entire space framing peaceful views onto the pond and when your guests need a break from the dance floor they can retire to the enormous fireplace surrounded by cozy leather couches. 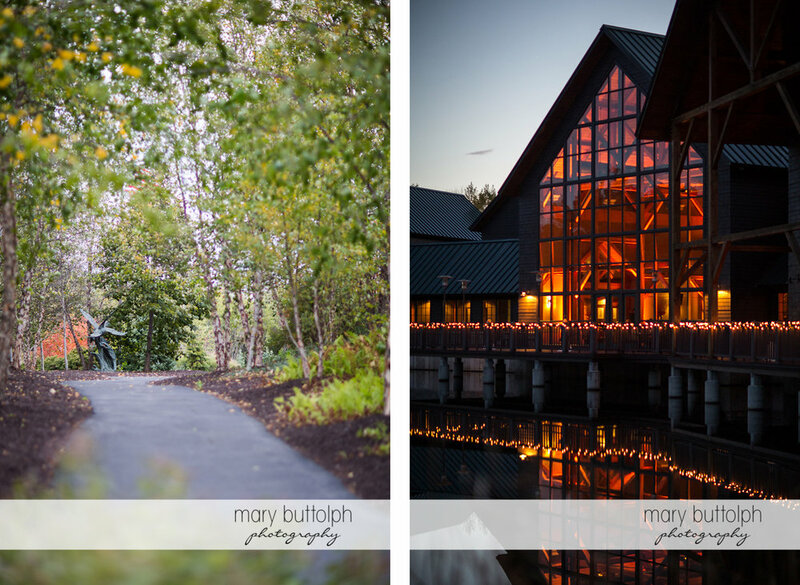 A taste of the Adirondacks have come to the Fingerlakes in this impressive and airy wedding venue.